Watch Our Livestream of Quality Forum 2019! The Council provides system-wide leadership to efforts designed to improve the quality of health care in British Columbia. Through collaborative partnerships with health authorities, patients, and those working within the health care system, we promote and inform a provincially-coordinated, patient-centred approach to quality. We lead and support work that aims to improve quality of care in numerous clinical areas. Access tools and supports to drive and sustain improvements, including collaboratives and communities of practice. From one-hour webinars and one-day workshops to intensive professional development programs, we offer a range of learning opportunities for a wide variety of audiences. Find out how you can build your skills and knowledge to advance quality of care with our upcoming learning opportunities! Culture influences how we work together as a team in health care: our dedication to safety, how we communicate and, ultimately, how well we care for patients. Learn how we are working with health care partners and patients to improve culture and care and why this work is so important! Building a foundation of patient- and family-centred care is a priority within British Columbia’s health care system. To achieve this goal, we engage patients, caregivers and the public by bringing together diverse voices, ideas, experiences, expertise and evidence to improve the quality of care. Learn about our work to advance the patient voice. We collect and share resources for improving quality of health care in British Columbia. Access our collection of innovative tools and up-to-date inform ation. About The Council provides system-wide leadership to efforts designed to improve the quality of health care in British Columbia. Through collaborative partnerships with health authorities, patients, and those working within the health care system, we promote and inform a provincially-coordinated, patient-centred approach to quality. Improve Care We lead and support work that aims to improve quality of care in numerous clinical areas. Access tools and supports to drive and sustain improvements, including collaboratives and communities of practice. Sharpen Your Skills From one-hour webinars and one-day workshops to intensive professional development programs, we offer a range of learning opportunities for a wide variety of audiences. Find out how you can build your skills and knowledge to advance quality of care with our upcoming learning opportunities! Improve Culture Culture influences how we work together as a team in health care: our dedication to safety, how we communicate and, ultimately, how well we care for patients. Learn how we are working with health care partners and patients to improve culture and care and why this work is so important! Advance the Patient Voice Building a foundation of patient- and family-centred care is a priority within British Columbia’s health care system. To achieve this goal, we engage patients, caregivers and the public by bringing together diverse voices, ideas, experiences, expertise and evidence to improve the quality of care. Learn about our work to advance the patient voice. Resources We collect and share resources for improving quality of health care in British Columbia. Access our collection of innovative tools and up-to-date information. 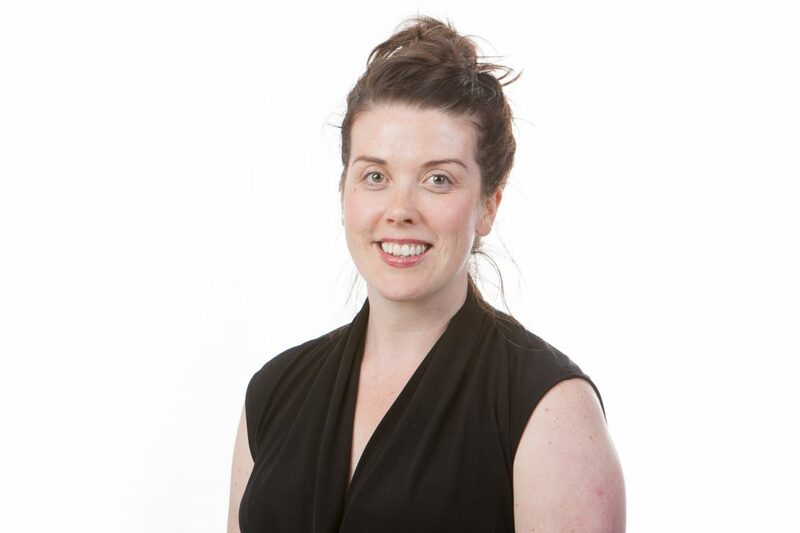 Home Blog Uncategorized Welcoming Kathryn Proudfoot to the Patient & Public Engagement team! Welcoming Kathryn Proudfoot to the Patient & Public Engagement team! 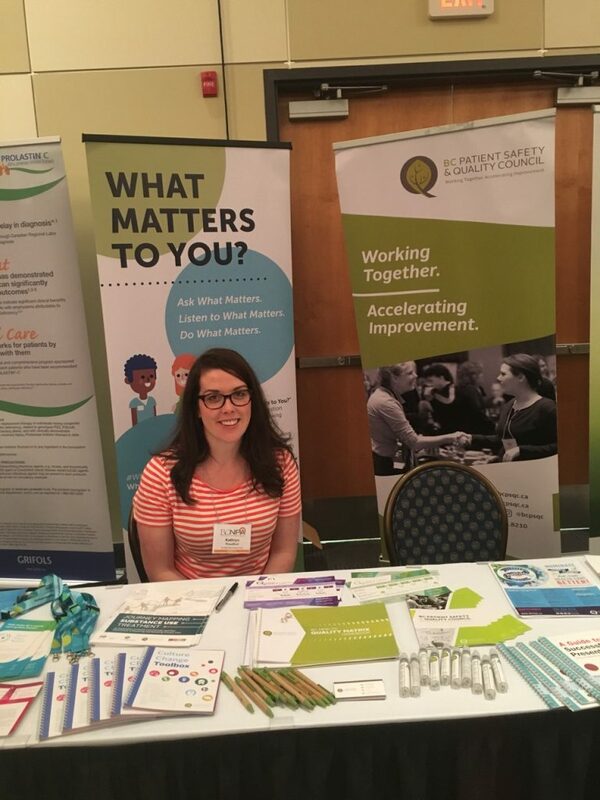 Kathryn began at the BC Patient Safety & Quality Council on a one-year contract with the Health Systems Improvement team and is now bringing her experience to the Patient & Public Engagement team (which supports the Patient Voices Network) in a permanent role. She is taking over for Teresa Bissenden, who recently became the Director of the Patient & Public Engagement team. Kathryn has a variety of health care experience that informs her patient and public engagement work. She is a Registered Dietitian and has a Master’s degree in Community Health and Epidemiology. She has used these skills in a variety of capacities, including in public health, long-term care and non-profit organizations. She’s excited about the opportunity to work with the Patient Voices Network because she believes strongly in building capacity for people to access health care and improve their health. She recognizes the power of the patient voice and her goal is to help both partner organizations and patients leverage that voice to make changes within the health care system: “This is an exciting time because more organizations are recognizing the need for patient engagement.” We couldn’t agree more! Please join us in welcoming Kathryn to the team! Learn more about the team working behind the scenes at the BC Patient Safety & Quality Council. Our Patient & Public Engagement Team works diligently to develop strong relationships with patients, family members and caregivers in order to improve the quality of care throughout British Columbia. No comments on Welcoming Kathryn Proudfoot to the Patient & Public Engagement team! Spreading the Safety Net took place at Quality Forum 2019. Copyright © 2019 BC Patient Safety & Quality Council. All Rights Reserved.